Frequent Asked Questions | Printing and Graphic Designing Toronto Canada | File Preparation FAQ | Print Den Inc.
1. What type of files do you accept for printing? -JPG, JPEG, TIF, TIFF at 300dpi. *One single file per side (no pdf bundle except for bookleets and calendars). -At least 1/8" bleed around the artwork to ensure accurate cutting. -All files converted to CMYK color mode. No RGB or Pantone files. - Convert the fonts to outlines and embed all the images. Click here to find out how to create outlines. -Clearly indicate the option and the side on which you want it to be applied in the file name. 2. What color mode should I create my files in? Please send us a file created in CMYK. If you send us an RGB file, the color may turn out different than you had sent. We won't take responsibility if that's the case. You should always start and finish your designs in CMYK color mode. 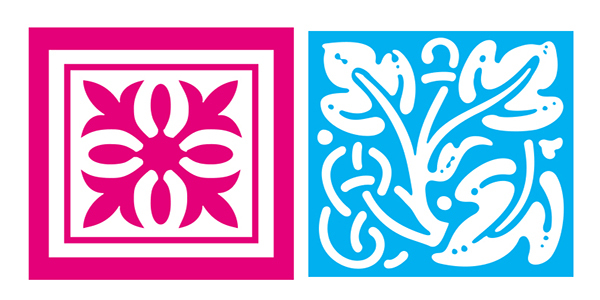 As you can see, the exact same colors look different in RGB and CMYK. 3. What should be my file resolution? The files should be atleast 300dpi. If your file is less than 300dpi, it will print blurry. Create the file at 300dpi and not just change a 72dpi to 300dpi. Changing an existing low resolution file to 300dpi won't change the quality of the file. 4. How should I set up the file with bleeds and safe area? 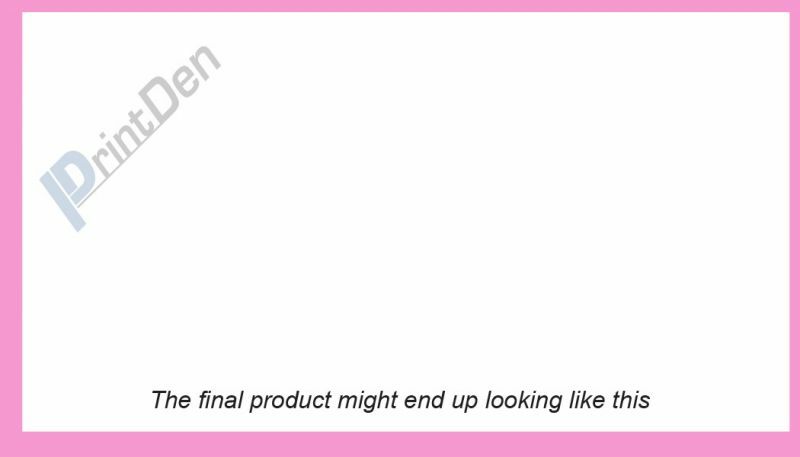 We have product templates on the product configuration page. Please follow the template when you are creating your file. For most of the products, we need 0.125" bleed and 0.125" safe area. Make sure to keep all the text and images that you don't want to be cut, inside the safe area. Extend the background to the bleed area. 5. I have a thin border in my design. Will it be uniform on all sides? When the cards are cut, a lot of sheets are cut together and so slight shifting might occur. Because of that, if the border is too thin, it may be cut uneven. 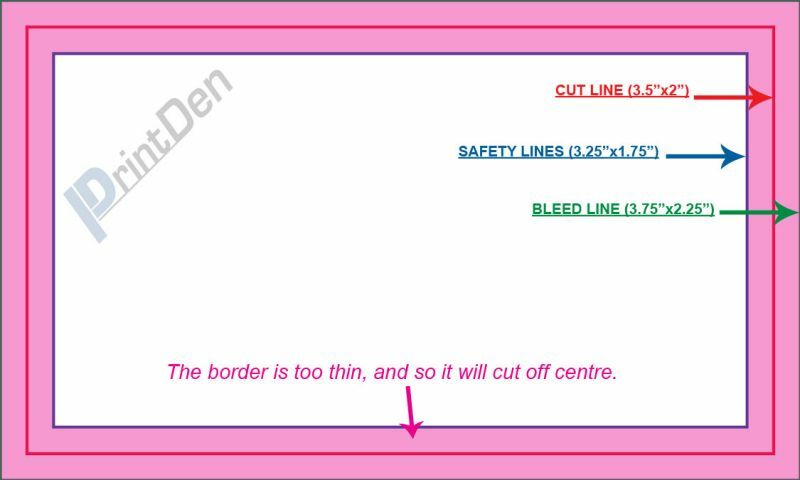 If you have to have a border, it is advisable to have a much thicker border, so that even if it's cut a little off, it still won't be so noticable. But they still won't be even. We generally do not accept jobs with borders, but if you would still like to proceed with borders, we won't take responsibility for unevenness of the borders. 6. Can I submit multiple files in one document? No. Each side/page should be in a separate file. 7. Pure Black vs Rich Black? Rich black is mixture of 100% K, plus other color values. This results in a darker tone than black ink alone. We recommend C= 60, M= 40, Y= 40, K= 100 for a rich black color. For black text, always use pure black, or the text might become illegible due to ink overlapping. Red and Orange are close together in the CMYK spectrum. So they're problematic on press. 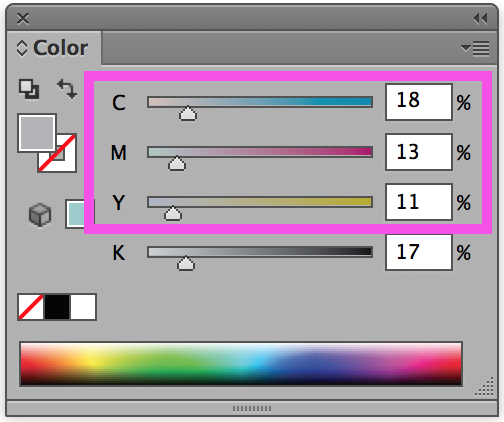 In order to ensure the two colours come up the correct tones, leave at least 25% differences in your Magenta and Yellow Values. There are many things that can cause banding. Banding can be caused by the program the file is exported from, such as Indesign or Corel. If there are too many gradient steps in a small area, e.g. from very light color to a dark color, it will cause banding. Print Den Inc. is not responsible for issues regarding this subject. 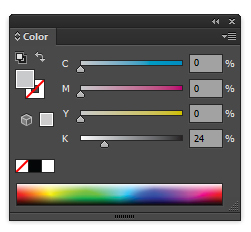 It is important to set the right CMYK values when using grey. Do not use grey color composed of cyan, magenta or yellow values - this can cause the grey colour to shift from a cool or warm grey. To eliminate all values other then K, use your Channel Mixer (adjustment layer) in Photoshop, then click "Monochrome" and adjust accordingly. In order to ensure files are submitted properly for proper orientation, we require files to be submitted HEAD TO HEAD. 12. How do I export a .pdf correctly? 13. How do I make sure Blue doesn't turn out purple? Blue is close to purple in the CMYK spectrum. In order to ensure that blue doesn't turn out purple, make sure magenta color is atleast 30% less than blue color in CMYK. 14. How should I set up a Plastic Card job? When designing plastic cards, it is important to keep in mind that the frosted and clear plastic cards are transparent. Also, all plastic cards come with rounded corners. As you can see, the difference in the transparency is shown in the image above. The clear cards (right) are completely transparent. The frosted cards (center) are semi-transparent and cannot be seen through easily. The opaque white plastic cards (left) are solid white and not transparent at all. 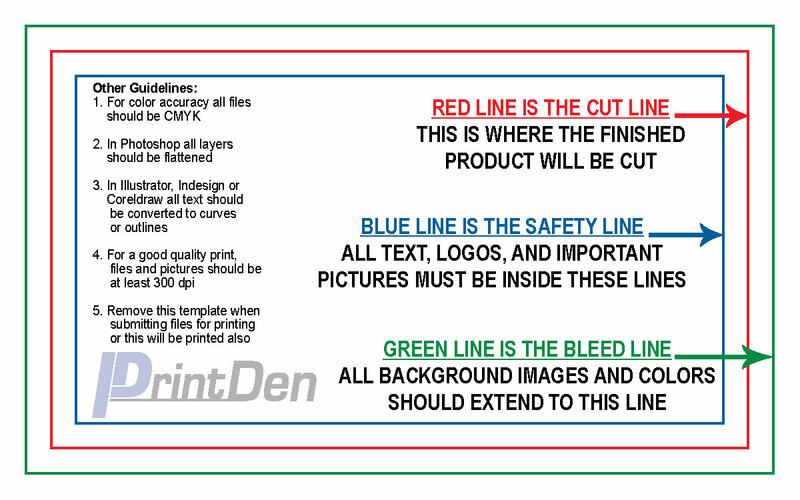 Keep this in mind when designing your plastic cards, it will affect how your design will print. Printing on Clear and Frosted Plastic Cards will come out slightly lighter than average compared to other stocks. This is due to the plastic itself and is not a production issue. When setting up a rich black value, please make sure to use C 60 M 40 Y 40 K 100 values. Do not use all 100 since it will cause problems and will not print any darker on plastic. 15. 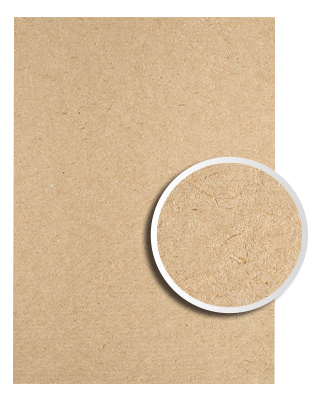 How do I set-up artwork for Brown Kraft cards with white ink? 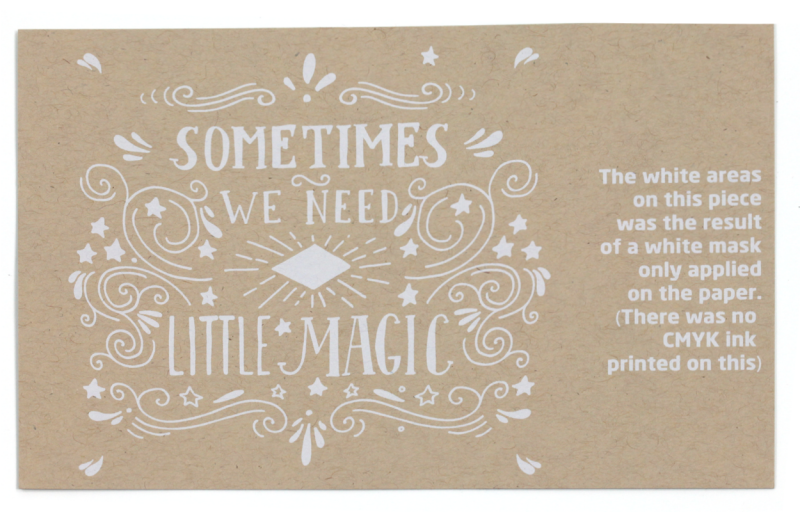 Brown Kraft has the option to add white ink as an overprint. The white will be a base for the CMYK providing a bright white surface which will allow for vibrant, crisp color. Areas without white ink will appear darker due to the color of the stock. Similar to Spot UV masks, White Mask files are separate from your artwork files. Black in the White Mask file indicates where white ink will be printed. Make sure to create your mask file the same size as your artwork file. This will prevent alignment issues during printing. Note: White Masks must be made in vector format and be saved as EPS or PDF. You may use gradients in the white ink mask file. Please be aware that anything less than 100%K will be transparent and allow the brown stock to show through. Use vector paths/shapes to create black color areas that will indicate where the white ink base will go. The rest of the areas will show the Brown Kraft stock. White ink base will be printed behind any color that’s in your Artwork Layer. 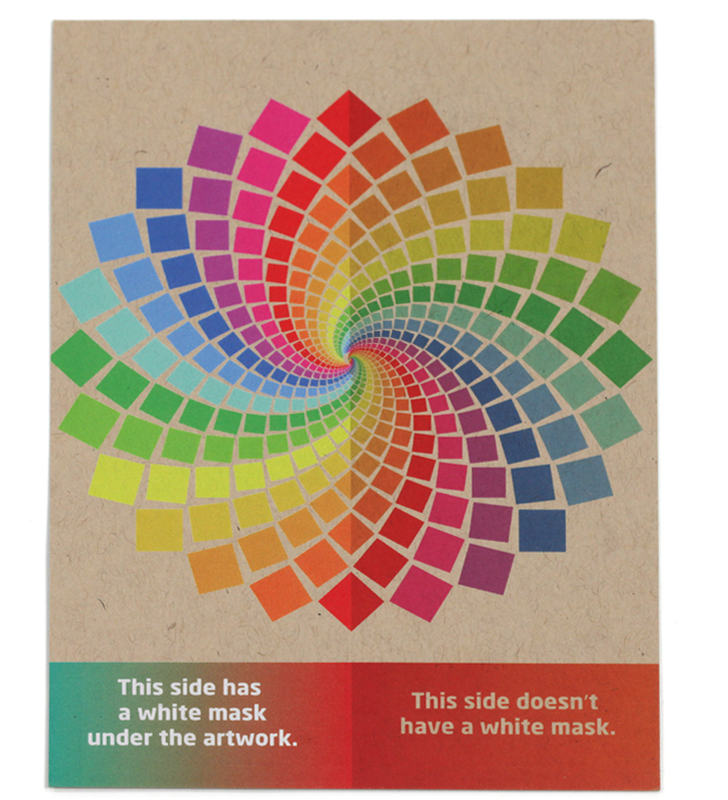 Areas with color but without a White Mask will be printed with color directly on the material. Areas with color and a White Mask will be printed as opaque or solid color. 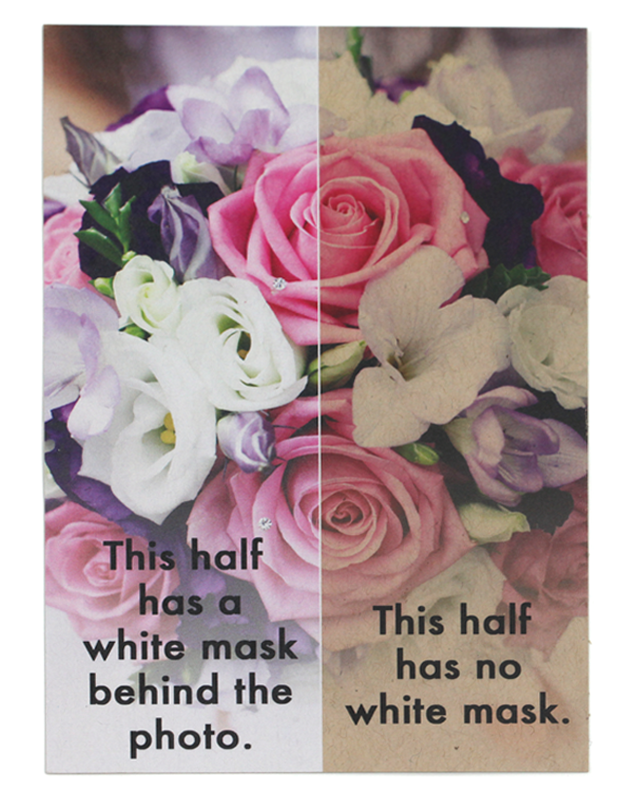 Areas with a White Mask and no color will be printed as white. 16. What is Spot UV? Spot UV produces a glossy effect, giving the card a textured look. Spot UV is a screen printed process where the varnish is applied only to selected areas. The spot gloss varnish is often applied over pictures or graphics to enhance them. It's also especially effective when the background is a solid colour and the Spot UV layer creates a shape, pattern or text. A spot UV layer over some text is also possible but less apparent and may require moving the card in the light to see the effect. We do not recommend applying spot UV in registration with small text or fine lines. Spot UV involves a separate stage in the production process, after printing and laminating. Although we make all efforts to perfectly align the spot UV to the print, a shift of up to 1/64" may occur. On PVC/plastics, there maybe a shifting of upto 1/32". 17. How do I set up files for Spot UV? 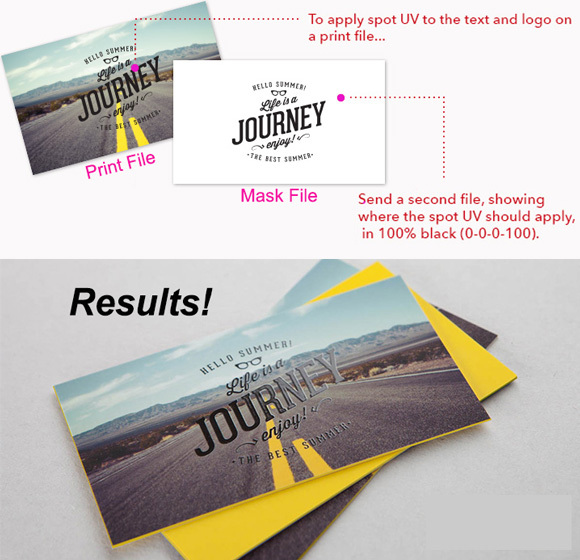 When creating a job with Spot UV, you must include a Spot UV mask file along with the regular CMYK print file. The mask template file is used to show where glossy UV coating will be applied. Use 100% K to indicate where you would like the spot UV. For better quality we recommend creating mask files in vector based programs such as Illustrator or CorelDRAW. Please only use solid 100% K to indicate where you would like the UV. Do not use shadows, glows or grayscale images. White will indicate no UV. Remember, if it's white, you can write! 18. How do I set up files for Foil Stamping? When creating a job with hot foil stamping, you must include a foil mask file along with the regular CMYK print file. The mask template file is used to show where foil stamping will be applied. Use 100% K to indicate where you would like the foil. Make sure to remove everything that will be foiled from the print file and have those items only on the mask file. 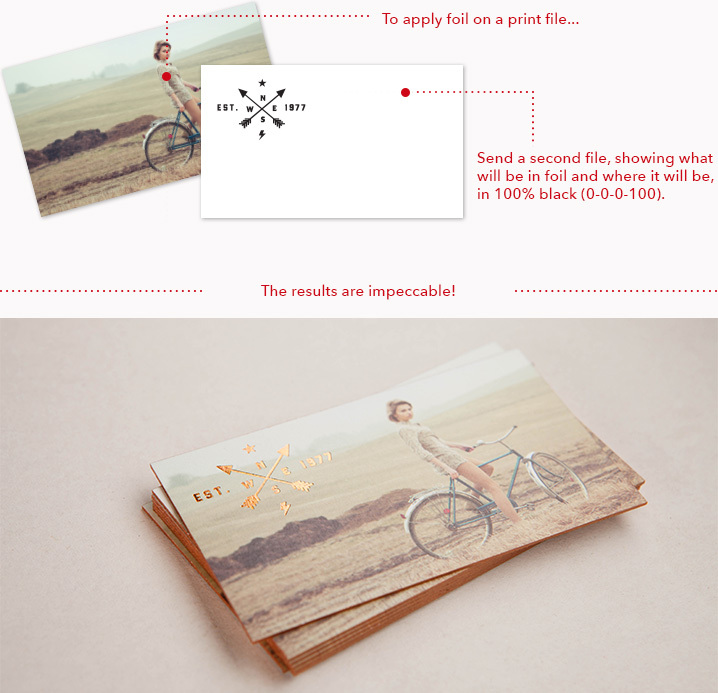 The foil stamping cost includes a maximum surface of 3 square inch (For example, 3 sq. in. can be 2"X1.5" or 3"X1"). Oversize foil requires a larger die. Therefore, foil area larger than 3 sq. inch will be charged as 2 foil. 19. 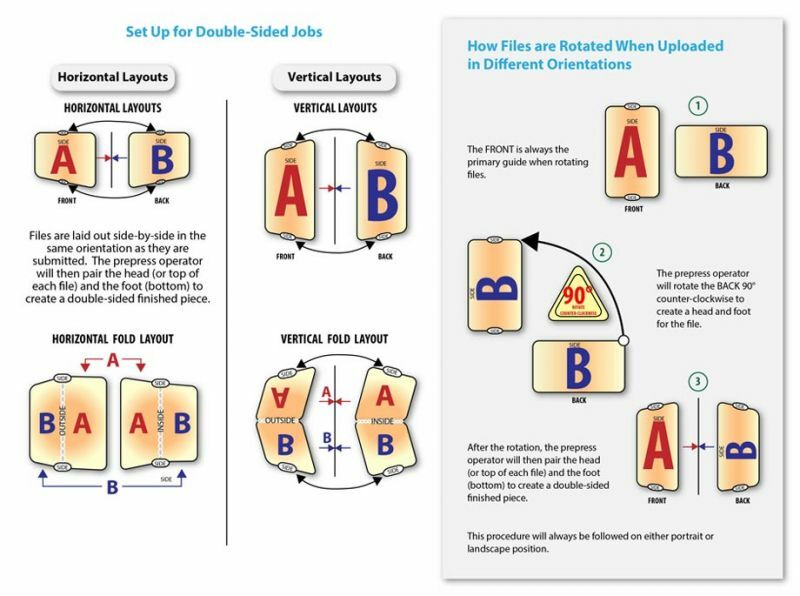 How do I set up files for Embossing or Debossing? When creating a job with embossing or debossing, you must include a emboss / deboss mask file along with the regular CMYK print file. The mask template file is used to show where embossing / debossing will be applied. Use 100% K to indicate where you would like the emboss / deboss. Make sure to remove everything that will be foiled from the print file and have those items only on the mask file. 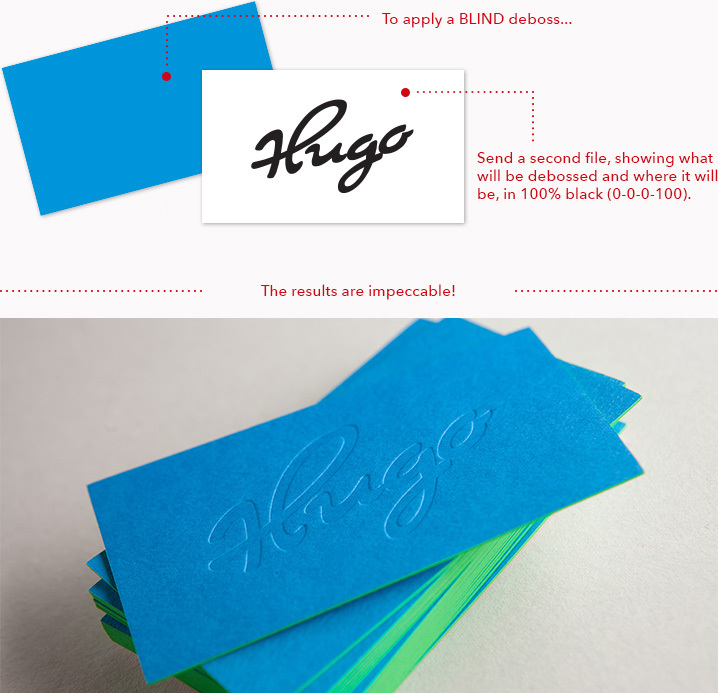 The emboss or deboss cost includes a maximum surface of 3 square inch (For example, 3 sq. in. can be 2"X1.5" or 3"X1"). Oversize emboss or deboss requires a larger die. Therefore, emboss/ deboss area larger than 3 sq. inch will be charged extra. Please contact us for a price. 1. Can I ship each order to a different address? You can choose shipping method for each individual order. Each order in the same cart can be either picked up, or shipped to any address you need. Or, if you want, you can group the orders for combined group shipping. 2. Can I send my own courier to pick up my order? Yes, you can. Once you receive the notification that your order is ready for pickup, you can send your own courier to pick up the order. Please note that you will have to send us the waybill. There will be an additional charge of $15 if we have to fill out the waybill. 3. Do you offer blind shipping? Yes, we do. Please contact customer service for more information. Additional charges may apply in some cases. Please do not place the order without contacting CSR. 4. What locations do you ship to? We ship to Canada and United States. You can change the shipping address/ shipping type before the order is shipped. After the order has been shipped, we cannot change the shipping type. Shipping Address correction will be an additional charge. Please read our Shipping Policy for more information. If a package is not delivered due to a customer refusal (which would include a failure to pick up the product from the carrier, if applicable) or an error made by the customer, e.g., not submitting the proper shipping address, it may cause the package to be reshipped (with the corrected address if applicable), and you will be charged an additional shipping fee for this reshipment. You may also incur additional fees as a result of the inability of the carrier to deliver the order, as well as return fees. Even if you decline to have a product reshipped, you will continue to be responsible for the product cost, original shipping and any additional fees incurred as a result of the product being returned, and you consent to these fees being charged against the credit card used for the transaction. You can check the status of an order by logging into your account, and click the order details. Once an order is shipped, you will also receive an email with the tracking number. You can also contact us and a CSR will be happy to assist you. 2. Can I change my order once it has been placed? Changes to your order can be accommodated before we have started the designing or printing job. Once your designing has begun, or your print job has been sent to the press, we no longer entertain changes to the file, artwork, quantity, product options, etc. To file an order cancellation request, please contact us. Please note, an order may only be cancelled given that no work has been started for that order. We charge 10% as order cancellation charge if no work has been done. If any work on an order has been started, there is no cancellation or refund. 1. What if there is a pricing error on your website? 1. Can I split my order into multiple designs? All the prices on our website is for one design at the quantity ordered. For example, if you have a business card that has a difeerent front, but common back, you cannot order 500 of the first design and 500 of the second design for the 1000 price. This would be treated as two orders for 500 cards. 2. Will I always receive exact quantity that I ordered? Although we endeavor to ship the quantity ordered, Print Den reserves the right to ship within 10% over or under the requested quantity. Therefore, it is within the industry standard that a shipment of 450 pieces on a 500 order is an acceptable order. Although such a scenario falls within an acceptable delivery, it is rarely the case. Majority of the times, we deliver more than you had ordered at no extra charge. Rarely, if due to nature of printing and cutting we may ship fewer pieces than you ordered, printing industry trade standard allow for 10% underruns. If you plan to send your print job to a mailing house, we recommend that you order a greater quantity. Please keep in mind that if you are sending your postcards to a mailing house or fulfillment center, there is also a trade standard of anywhere between 5-10% waste on the mailing house's end. Please be sure to consult with your mailing house before ordering. 3. What do the prices in the pricing calculator include? The pricing in the calculator is only for printing print ready PDF files that matches the template of that product. Any custom artwork, file adjustments, proof, shipping and tax is not included in the price.